All condominiums, cooperatives and homeowners associations have a board of directors or some equivalent group, such as a council, which has the responsibility of running the community’s association on behalf of the property owners. It is the duty of the board to maintain integrity, respect for others, and to uphold property standards and financial responsibility in the running of the building or complex. The board plans and budgets the fiscal health of the association. In doing so, it may hire a management company to carry out certain tasks associated with its duties. The board also addresses residents’ complaints and concerns, and must ensure residents can enjoy their units peacefully. All of these responsibilities may be addressed during a meeting of the board of directors. Because a condo association is similar in many ways to a miniature government, board meetings must be properly and effectively conducted. The directors have a fiduciary responsibility to all unit owners to manage the activities of the board in a prudent manner, utilizing their best business judgment. With that in mind, and with careful preparation and attention, board meetings can be a success. Ample preparation time is paramount. In order for a meeting to go smoothly, a well thought out agenda is imperative and required by law. An agenda allows the other directors to prepare for the topics to be discussed at the meeting. However, sufficient preparation time is not possible if the directors are not given advanced notice. It is therefore recommended that board meetings be calendared at the beginning of the year for the entire annual term. This allows board members to plan a year ahead for attendance purposes. In addition, Florida law requires at least 48 hours’ notice to the general membership for each board meeting, and the notice must be posted in a conspicuous place in the community with the agenda. In addition, each board member should receive a package, in advance, which includes the agenda, minutes from the last meeting, financial information, committee reports, and any other items to be considered at the board meeting. Avoid meeting in a private home, and opt instead for a professional and neutral environment; such as a recreation building or common area, if available. The agenda essentially is a timeline of your meeting. All the topics that need to be discussed should be included, along with an allotted amount of time. If you run out of time, then that particular agenda item should be tabled for the next meeting. Limiting the amount of time each agenda item will receive forces directors to prepare necessary questions and encourages directors to resolve the matter efficiently and effectively. Non-agenda issues cannot be voted upon at the meeting. Some associations elect to conduct meetings according the Robert’s Rules of Order. If this is the case, there are some important formalities to keep in mind. Stick to one agenda item at a time. Each member has the right to speak, and can do so after being recognized by the chair. All remarks must be addressed to the Chair, and remarks should be courteous. All reports are merely a recommendation to the board. When presented to the board, questions can be raised but the report is not accepted until approved by the board. Questions can be freely asked after permission from the Chair. All business is conducted by voting on motions. Each motion must be seconded to be placed before the board. When a motion is made and seconded, and debate has concluded, the Chair must “call the question.” A vote is then taken, and a majority is required to pass the motion. A tie vote fails for lack of a majority. Robert’s Rules can be complex, and it is recommended that the Chair become familiar with the procedures before using them in a meeting. 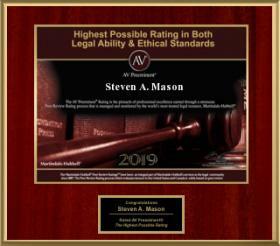 Executive sessions allow the directors to discuss personnel matters, consult with the association’s attorney, and discuss pending litigation and other confidential matters “off the clock.” Usually privileged information is discussed during this time, and therefore executive sessions should be used sparingly. This session is closed to members. Again, preparation goes a long ways in conducting an effective meeting. Do not underestimate the importance of preparation. 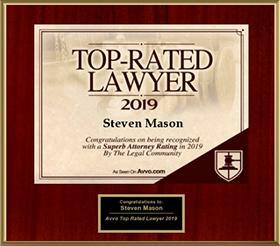 Additionally, consulting with an attorney who specifically handles condominium, cooperative, or homeowners association matters can help facilitate the process. 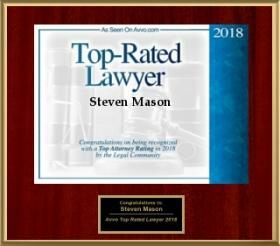 When in doubt, contact Law Offices of Steve Mason, P.A. today with any questions, serving the Miami-Dade, Broward, and Palm Beach County areas.